"Written during time spent in Berlin and Norfolk, this new track combines Scattergood’s trademark mix of storytelling and soul-searching; but also looks outwards and heavenwards, spinning sonic playfulness around while stretching for new skylines." This song is EVERYTHING to me right now. It's dark. It's moody. It's a bit fairy-like, supernatural or ethereal even. It's subtle, it's intense. It's a bunch of contradictions that work and make beautiful music. If this review sounds like a bit of a ramble session, forgive me! I'm struggling to string together a coherent thought. There's just something about this song that I am entranced by... To be perfectly honest, I think I'm just a bit enamored with the artist herself, and hopefully you will be too after listening to "Wanderlust." 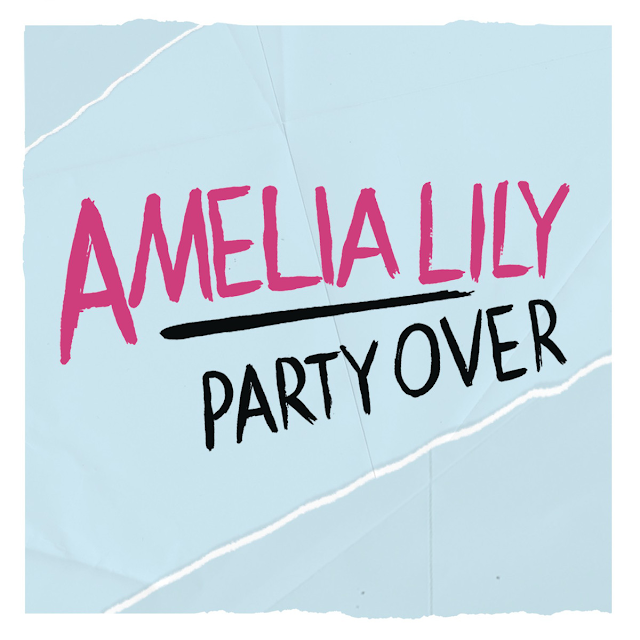 Since first posting about X-Factor UK alum Amelia Lily and her debut BANGER "You Bring Me Joy," the up and coming dance-pop diva has released another single ("Shut Up [And Give Me Whatever You Got])", announced a third single ("Party Over" - April 14th), her debut album (Be A Fighter - April 29th) and recently embarked on a massive UK tour opening for Girls Aloud. Quite the whirlwind career, but then again - Amelia Lily's whole career-to-date has been something of a whirlwind, hasn't it?